Paul Alex LaViolette hails from Schenectady, New York, and earned his BA from Johns Hopkins (1969), MBA from the University of Chicago (1973) and PhD from Portland State University (1983). His early interest in solar energy led him to explore other alternative energy sources, in which he he become a leading expert. As a patent examiner, LaViolette has been exposed to a wide range of innovative ideas. 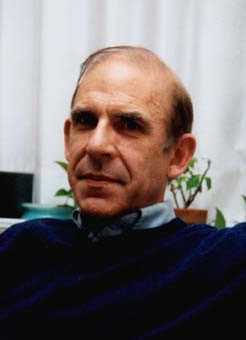 LaViolette is the author of The Talk of the Galaxy, Earth Under Fire, Genesis of the Cosmos (Beyond the Big Bang), Subquantum Kinetics, and editor of A Systems View of Man. He has also published many original papers in physics, astronomy, climatology, systems theory, and psychology. He received his BA in physics from Johns Hopkins, his MBA from the University of Chicago, and PhD from Portland State University and is currently president of the Starburst Foundation (http://home.earthlink.net/~gravitics/Starburst.html), an interdisciplinary scientific research institute. He has ongoing interests in metaphysics, mysticism, and music. "An Introduction to Subquantum Kinetics..." Intl. J. Gen. Sys., V11 pp. 281-345.